Approximately, 250 million roses will be produced for Valentine’s Day globally. Kenya is the lead exporter of rose cut flowers to the European Union with a market share of 38 per cent as of 2015. In 2016, Kenya’s earnings from cut flowers rose 18 per cent to Sh53.3 billion from Sh45.1 billion in the previous year. While the sector has seen strides in the provision of safe and healthy working conditions, adherence of companies in payment of minimum wage and complicacy of certification regulations, much more is yet to be achieved in terms of social responsibility for the workers. 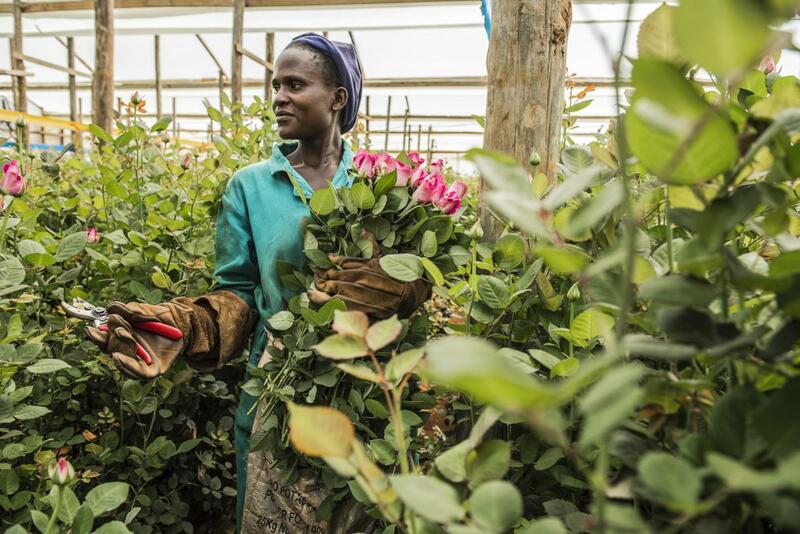 A situation analysis conducted by Hivos late last year in the horticulture sector in five Eastern Africa countries; Ethiopia, Kenya, Rwanda, Tanzania and Uganda confirmed that gender inequalities and human rights injustices still persist in the horticulture sector. Low wages remain a critical concern for the workers in the horticultural sector. While Kenya is ahead in the pack and has put in place a minimum wage, Rwanda and Uganda are still grappling with this issue. 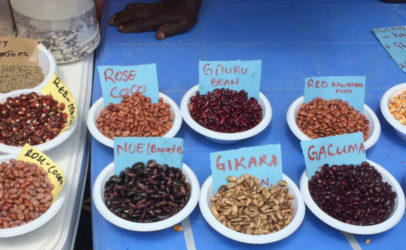 For example, the average income for a general worker in Uganda and Rwanda is between one to two dollars a day while a Kenyan flower worker earns approximately two to three dollars a day and an average of KES 6,000-KES14,000 (USD 60-140) per month. Additionally, farmers in Kenya receive meals, transport, medical, housing, day care facilities and education benefits. 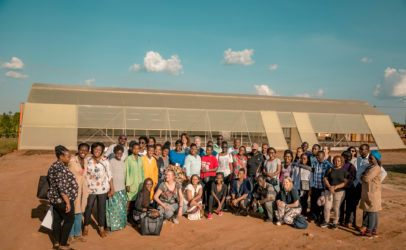 The study also revealed that despite women being the majority of the workers on flower farms on (average 60—70 per cent); they remain under represented at senior management levels. Few women are in supervisory and management roles notably in Uganda and Rwanda. 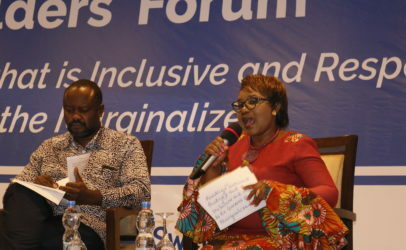 In Kenya and Rwanda there are examples of women who are directors. The sector is yet to put in place comprehensive gender responsive policies to promote gender equality and women’s empowerment. The human resource policies are mostly gender blind with reported examples of a man’s performance being evaluated based on what he can bring to the table in future while a woman’s performance is evaluated based on what achievements she has made. This creates a very uneven playing field for performance based pay and leadership roles when the opportunity presents itself. 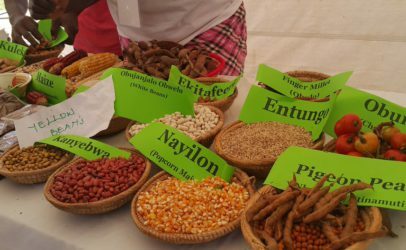 Sexual and gender based violence in the farms remains unexplainably high as well according to the study. Further, cases were cited of domestic violence conflicts spilling into the work place and affecting productivity. The human resource manager at one farm noted many cases of absenteeism, depression and the lack of concentration were all related to domestic violence. 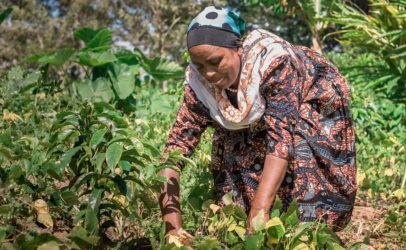 In Kenya, many of the workers revealed that domestic violence is rife in households of farm employees, especially those who live in communal housing provided by the employer. The workers intermarry and their problems often spill into the workplace. There is extensive abuse of substances, especially alcohol among the male migrant workers who indulge in casual or noncommittal relationships. This acrimony among workers disrupts relations and production and a comprehensive intervention is needed to address gender inequalities at personal and interpersonal levels. All in all, there is goodwill in the sector and most businesses are striving for better social and environment best practices. Some of the recommendations pointed out from the survey to uplift women were: Support for adult education that is certified or a chance to further their education levels to acquire skills: Engagement with men and the community for women’s unpaid care work to be recognized and re-distributed: Need to strengthen the collective voice of women through increasing their members in unions, enhancing their capacities to actively participate for their effective representation: Address unconscious biases influenced by cultural norms on preferred roles for men and women, which negatively affect jobs allocation/recruitment and the need for horticulture employers to give a critical look at internal policies to ensure that they are gender responsive in word and practice to allow women to ascend to positions of leadership.